One of my favourite things to do is add herbal infusions into my cocktails. Last summer I went to Capri and they have this drink you can get all over the island. It was limoncello and soda water over ice. 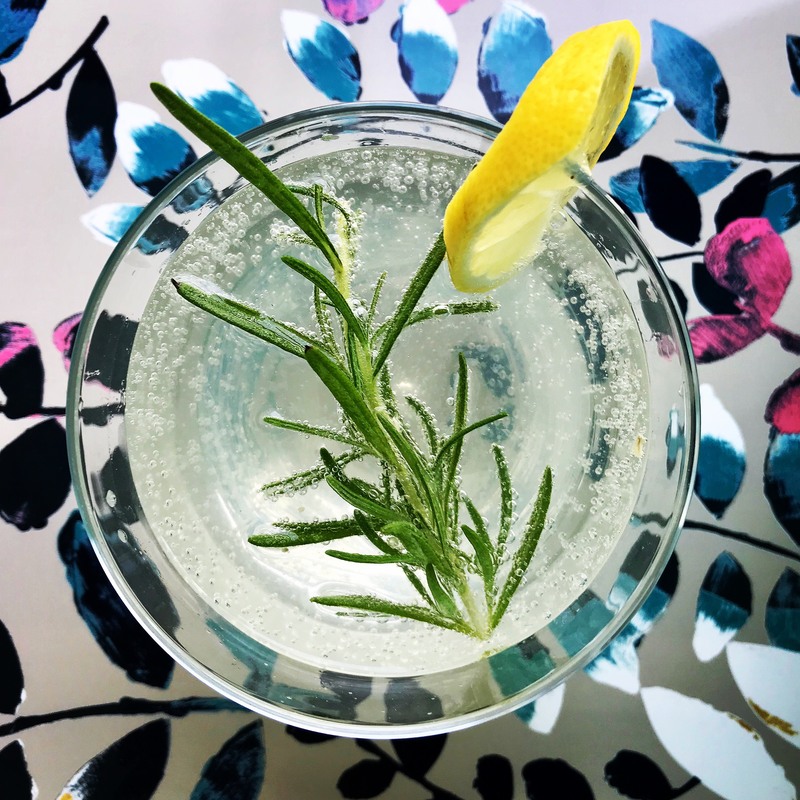 It was a nice refreshing drink, but I decided that my version would be spiked with a little vodka and the rosemary simple syrup enhances the lemon in the drink. In a small pot on medium heat, add water, sugar, and rosemary. Bring to a boil, then turn the heat down to a low and let simmer for 5 minutes. Take off heat and let cool completely. In a pitcher, pour in the simple syrup, limoncello, the juice of 1 lemon, and vodka. Stir well, then add the sparkling water. Serve over ice and garnish with rosemary and lemon slices. I like to make this mix the night before I am entertaining and pour the vodka, limoncello, lemon juice, and simple syrup into a bottle and keep it in the fridge. Then when I’m entertaining I take the mix and the sparkling water out of the fridge and make as many drinks as I need. The mix can be stored in the fridge for up to a month, though you’ll probably finish it off before then.